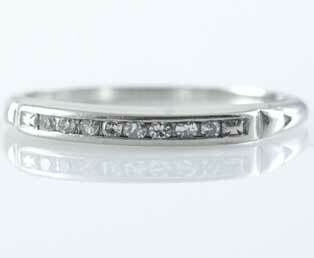 Eight single-cut diamonds shine in this 1930s thin white gold wedding band. Two cross designs anchor each corner of this wedding band. This ring was designed by Joseph Granat, who received a patent for this ring's design in 1931.